the importation and supply of drugs, regulatory offences and confiscation proceedings. Paul Sharkey is a highly experienced advocate specialising in serious and complex cases of fraud, corruption, money laundering, the importation and supply of drugs, regulatory offences and confiscation proceedings. He is regularly instructed by the Specialist Fraud and Organised Crime Divisions of the Crown Prosecution Service, the Serious Fraud Office, the Department for Business Innovation and Skills and a number of local authorities. Paul also acts as independent counsel to advise upon legal professional privilege in relation to material seized by prosecution authorities. Paul Sharkey has wide-ranging experience in dealing with different types of fraud, including VAT repayment fraud, MTIC fraud, benefit fraud, mortgage fraud, tax credit fraud, alcohol diversion fraud and money laundering. He is currently instructed both as leading and junior counsel in a number of substantial cases of fraud and corruption. 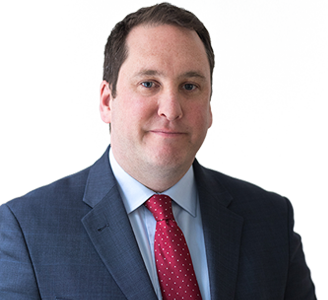 Paul is highly skilled at dealing with cases involving a significant amount of documentary, financial and expert evidence, and at presenting difficult and cases to juries, including through the use of the electronic presentation of evidence. He is a member of the CPS Specialist Fraud Panel (Grade 4) and the Serious Fraud Office Panel (List A). He is regularly instructed to provide advice pre-charge in difficult and complex cases. Paul prosecutes and defends in a wide range of criminal offences, with particular specialisms in cases of fraud, money laundering, drugs offences and confiscation proceedings. Paul has acted in numerous cases involving the large-scale importation and supply of drugs and is regularly instructed by the CPS Organised Crime Division. He has extensive experience of dealing with difficult disclosure, PII and RIPA issues in such cases and is familiar with the range of evidential tools often deployed: telephone evidence (cell-site, phone billing, phone interrogation), observation evidence, tachograph evidence, drug valuation evidence, other forensic evidence and evidence obtained through co-operation with foreign jurisdictions through mutual assistance and Letters of Request. Paul Sharkey has prosecuted and defended numerous substantive confiscation hearings, in particular following on from convictions for fraud and drugs offences. He has extensive knowledge of confiscation legislation both under the former regime of the Criminal Justice Act 1988 and the current Proceeds of Crime Act 2002. Paul regularly acts for and advises local authorities in the prosecution of regulatory offences – including health and safety, food hygiene, trademark infringement, environmental and planning offences, and breaches of enforcement notices and regulations under the Housing Act 2004. Paul has also acted for the Department for Business Innovation and Skills for prosecutions under the Insolvency Act and Company Directors Disqualification Act. R v. Canavan  – Fraud by abuse of position. Hotel Manager defrauded hotel in false invoice scam. R v. Davies [2015-2017] – Prosecution of serial fraudster/conman who targeted distressed companies and fleeced them of remaining assets. Operation Fastback [2011-2013] – Prosecution of eight-handed £330m VAT carousel fraud and relating confiscation proceedings. Operation Callous [2010-2012] – prosecution of accountant and others for involvement in £2.5m VAT repayment fraud.